firstly Happy New Year, hope everyone had a great celebration, myself I made it till 8.45pm before heading to bed for the night. Photography wise, 2013 was not my year for photography, shutting down the business and the stress of the previous couple of years, changed how I saw photography, it got to a stage where the photos I did take were snapshots and not to the full potential of neither myself nor the wonderful camera gear I own. 2014, I vow and have already started to rekindle my love of photography and can not wait to share my adventures and pictures through the year. 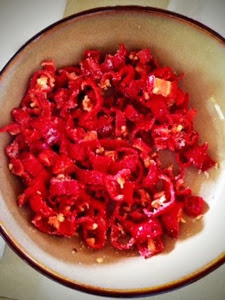 I am making more sambal olek, having lived in Indonesia and many other countries that are home to wonderful spicy foods, I have never been able to replicate my favourite, a google search brings up thousands of different recipes and methods to make sambal. 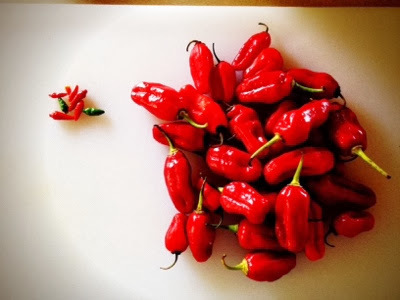 This is the recipe I closely followed because of the fact that I have tried to make sambal before and the recipes I followed all say to boil the chilis, which to me looses a lot of the taste and flavour. I also prefer it being slightly oil based instead of vinegar, to me the oil is smoother tasting. Salted and sweating for 2 hours! 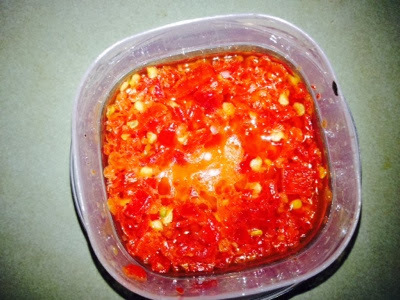 I also added garlic and reduced the sugar amount, as we are not sweet chili likers! This is a spicy one! 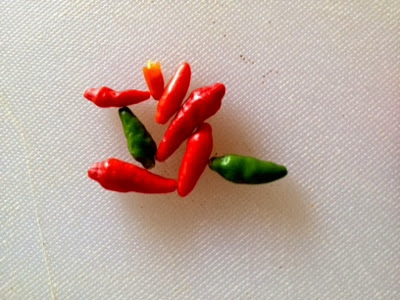 Always remember when making your own hot sauces, either wear gloves or don't touch your eyes or other sensitive areas for a while!